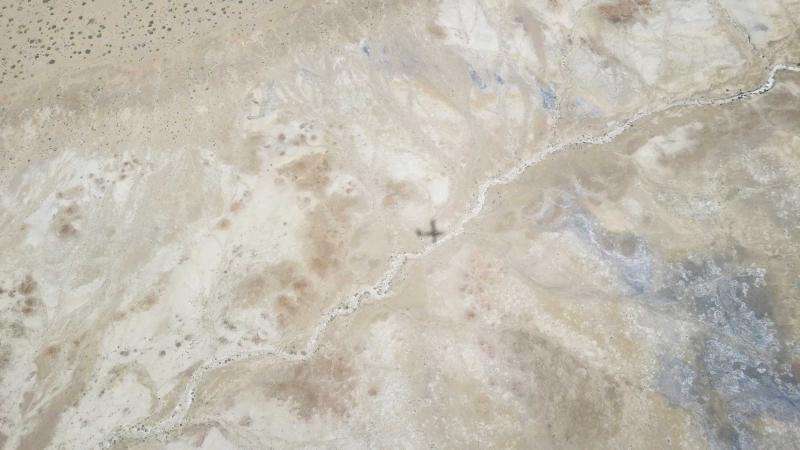 At just a bit over crop duster height, University of Michigan researchers are flying through a 50-square-mile hotspot of the greenhouse gas methane over the U.S. Southwest. For the rest of this month, they're part of a broad "air campaign" involving five planes and four institutions. The goal is to figure out more precisely where the methane plume is coming from. 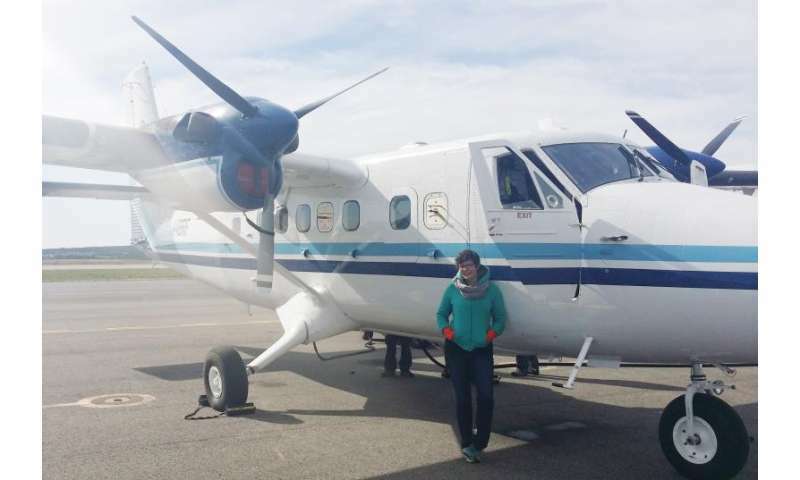 Custom instruments bolted to the back of a Twin Otter turboprop are taking live measurements of the atmosphere for the U-M researchers. The National Oceanic and Atmospheric Administration owns the aircraft. 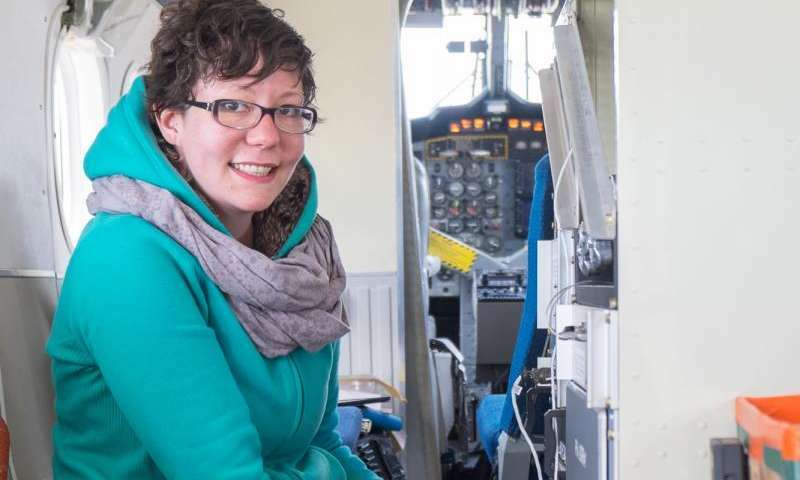 "You actually have a little desk in the airplane," said Mackenzie Smith, a postdoctoral research fellow in the U-M department of atmospheric, oceanic and space sciences. "You sit right behind the pilots and you monitor the data from all the instrumentation. "There's something very exciting about watching data in real time and knowing you're the first person to see it." While she'll see the numbers as they come in, the researchers won't analyze anything until later this summer. 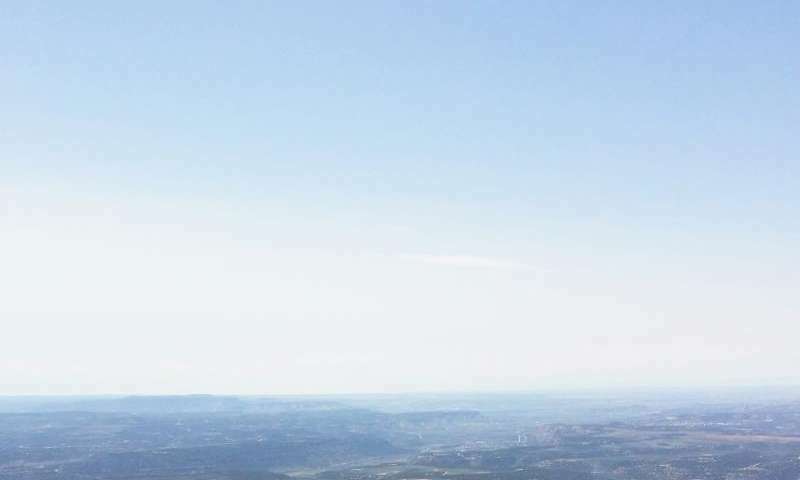 The hotspot Smith is surveying is at Four Corners, where Colorado, New Mexico, Utah and Arizona meet. This is the heart of North America's most productive basin of coalbed methane, a variety of the gas that's stuck to the surface of the coal. Coalbed methane is dangerous to miners, but energy companies have tapped it as a natural gas resource. Natural gas burns cleaner than coal or oil. But methane, its main component, is a potent climate-changer when it leaks into the air before it gets to the pilot light. Studies have shown that inventories aren't counting all the nation's methane leaks, but those leaks aren't easy to find. U-M researcher Eric Kort and his NASA colleague used a satellite to identify this particular hotspot several years ago. They published their findings just last fall. "We want to better understand what we've seen from space," said Kort, an assistant professor of atmospheric, oceanic and space sciences. Other institutions—NASA's Jet Propulsion Laboratory, the Bureau of Land Management and the National Oceanic and Atmospheric Administration—are gathering data that might be able to zero in on any leaks relatively closely. But the main question Michigan researchers aim to answer is how much of the methane is coming from fossil fuel production, and how much is coming from other sources like agriculture. To do this, they'll rely on an instrument that Kort's research group advanced and modified for flight. This is the one strapped to their airplane. It can continuously measure the concentrations of both atmospheric methane and ethane—a tracer gas whose presence reveals a lot about where the methane came from. When the methane is a fossil fuel that was made over eons deep in the ground, it tends to carry ethane with it, and both show up in the researchers' readings. Not so when the source of the methane is microbial—from decomposing garbage in a landfill, wetlands or agricultural land, for example. "If we fly past a cow farm, we'll see a spike in methane but not ethane," Kort said. From their base in Durango, Colo., their flight days will start out with a weather call to get specialized forecasts including wind speed. Flights max out at four hours long. They travel in a box shape, hitting both the upwind and downwind areas and comparing them. At 1,500 feet and below, they're at the lower limit of flight height. "It's a bit like driving along in an airplane," Smith said. "You can really see what's on the ground." And it resonates with the researchers—what's on the ground. "There are a lot of really important issues that need to be solved in this field of climate science," Smith said. "It's frustrating at times, but it's rewarding to study something that could make a difference to people."